This release incorporates an important fix for a bug responsible for the error Reading from file failed. The error message is: The handle is invalid. when opening encrypted documents. This bug was introduced by an earlier release. A bug that can cause the component to crash while appending a malformed PDF document (via the AppendDocument method) has been fixed. This bug was introduced in service release 3.4.0.14 while addressing the "endstream not found" error. A rare class of PDF document has been discovered which caused AspPDF to enter an infinite loop during PDF-to-Image conversion. This deficiency has now been fixed. The content extraction functionality of the PdfPage.ExtractText method has been significantly overhauled. A bug has been discovered that caused ligatures, or codes denoting multiple letters such as "ff", "ffl", "ffi", "1/2", and others, to be extracted incorrectly. Only the first character of a ligature would be extracted, while the rest of the characters would not. This serious bug has now been fixed. If you are using AspPDF's content extraction functionality in your apps, you should upgrade to the latest version without delay. A class of documents has been discovered that would cause the ExtractText method to crash due to a bug. This bug has now been fixed. In the previous versions, calling the PdfCell.AddText method on a PdfTable cell with the RowSpan attribute set to 2 or greater could cause excessive and unnecessary spacing underneath the text. This deficiency has now been fixed. The new service release significantly improves the parsing times of embedded images. A rare class of PDF documents has been discovered that could cause AspPDF to crash during PDF-to-Image conversion. This bug has now been fixed. Currently, AspPDF does not support encryption levels 5 and 6. The previous versions would crash when trying to open a document encrypted with Rev. 5 or Rev. 6 security. The new version no longer crashes and displays a graceful error instead. Support for Rev. 5 and Rev. 6 encryption will be added soon. TIFF transparency support. PNG format is not the only one supporting an alpha channel, TIFF does too. Previously, the alpha information contained in TIFF images was ignored, but as of this version, it is collected by the OpenImage method and used when the image is drawn, the same way as with PNG images. A bug in the PDF-to-Image module has been fixed responsible for incorrect rendering and possibly crashing when the PDF document being converted uses radial shading. A bug in the PdfAnnot.SetFieldValueEx method has been fixed responsible for picking the wrong font for the form field in some rare PDF documents. The ImportInfo property of the PdfDocument object, which returns the Y-coordinate of the lowest boundary of the HTML content rendered by the last successful call to ImportFromUrl, has been enhanced to also include the X-coordinate of the right-most boundary of the HTML content. This helps estimate the horizontal extent of the content to determine if scaling may be required. This functionality is described in Chapter 13.7 of the user manual. A class of PDF documents has been discovered that uses LZW compression with a rarely used EarlyChange flag. These documents are now supported. 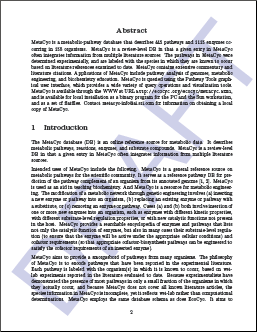 Earlier versions would render these PDF documents incorrectly during PDF-to-Image conversion. A bug in the PDF-to-Image module has been discovered that caused form fields and annotations in some rare documents to appear upside-down during the conversion. This bug has now been fixed. has been discovered and fixed. If your application uses the CreateColorSpace method, you should upgrade immediately, especially if AspPDF is used under .NET. A bug in the PdfAnnot.SetFieldValueEx responsible for occasionally picking the wrong font for the field content has been fixed. The method PdfPage.ResetCoordinates has been enhanced to work better with pages in which a "save state" command does not have a matching "restore state" command. The previous versions would not always reset the coordinates properly in such documents. The document stitching functionality has been improved. When multiple instances of the same form are stitched together, the field names are mangled by appending one or more "_" (underscore) characters to the name to ensure uniqueness. However, in some cases, even when a single instance of the form	is appended to an empty document, the fields names are still mangled. This flaw has now been fixed. Support for the Aztec 2D barcode. In addition to PDF417, Data Matrix and QR Code, AspPDF now supports yet another popular 2D barcode widely used in commerce and transportation. For more information, see Section 12.1.5.4 of the User Manual. In addition to supporting the Aztec barcode, the DrawBarcode2D method has been enhanced to allow the text string passed as the first argument to be encoded using an arbitrary code page before being passed to the barcode encoder. The code page number is specified via the new parameter CodePage. In the previous versions, the code page number was hard-coded to 65001 (UTF-8). A bug in the form-flattening module has been discovered that causes the form fields to be shifted vertically and horizontally in some flattened PDF forms. This bug has now been fixed. A bug in the handling of Korean fonts in ImportFromUrl's CJK functionality, added in service release 3.4.0.3, has been fixed. A bug causing the PdfPage.Width and PdfPage.Height properties to return incorrect dimensions for certain rare PDF documents has been fixed. Text extraction functionality has been improved by adding support for Type0 fonts with one-byte-per-character CIDs (character ID's). As of Version 3.4.0.5, ImportFromUrl can be directed to use the Microsoft WinHttp object instead, which does support TLS 1.2 on Windows 2012+ and Windows 8+. To switch from XmlHttp to WinHttp, the parameter WinHttp=true should be used. A bug in the PDF-to-Image module responsible for incorrectly rendering some documents that use radial shading has been fixed. A rare class of PDF documents has been discovered that may cause a stack overflow during PDF-to-Image conversion. This problem has now been fixed. Another rare class of PDF documents has been discovered that causes the exception Mismatch between font type and embedded font file during PDF-to-Image conversion, and aborts the conversion. As of version 3.4.0.5, the exception is no longer thrown and the conversion proceeds normally, with a warning entry added to the log. A bug causing the error /Root object cannot be found when opening some PDF documents has been fixed. Several minor bugs in the HTML-to-PDF and other modules fixed. The ImportFromUrl method has been enhanced to handle Chinese/Japanese/Korean (CJK) characters better via a new CJK parameter. If the HTML document does not assign CJK characters a CJK-enabled font by default, ImportFromUrl can now automatically apply a previously selected CJK font to those characters. In the previous versions, these CJK characters would simply come out as blank squares and there was no way to fix that without modifying the underlying HTML/CSS code. For more information about this feature, see Section 13.9 - Support for Chinese/Japanese/Korean (CJK) Fonts of the user manual. The PdfDocument.SendToPrinter method has been enhanced to work better with label printers via the new parameters PaperWidth and PaperHeight. With the previous versions, printouts would come out shrunk on some label printers. With the help of these new parameters, this problem is eliminated by specifying the label dimensions in tenths of a millimeter. A bug responsible for the error Unexpected object type when opening certain rare types of PDF forms has been fixed. Other minor bugs in the HTML-to-PDF and image processing modules have been fixed. In response to discovering a new rare class of PDF documents causing AspPDF to run out of memory and crash during PDF-to-image conversion, the PdfPage.ToImage method has been thoroughly optimized to improve performance and reduce RAM footprint. When encountering PDF documents with an invalid page width/height combination, the ToImage method used to throw the exception Invalid page width and/or height. Now it defaults to the US Letter page size without throwing an exception, and creates an entry in the built-in error log instead. A bug in the Form Flattening module responsible for occasionally drawing form field content in unexpected places has been fixed. The bug only affected a rare class of PDF forms with non-standard /Matrix entries. The PdfForm.Modify method has been enhanced to support a new parameter, Reset=true. This parameter is a shortcut for resetting the current graphics state for all pages of the document to help achieve consistent output during form flattening. A new live demo, Form Flattening, has been added to demonstrate AspPDF's form flattening feature. As always, upgrading is free for registered users. A serious bug in the CreateGraphicsFromPage method introduced in a previous service release has been fixed. The bug caused incorrect content rendering when multiple source documents or pages were involved. A rare class of PDF documents with a non-standard font encoding has been discovered that caused AspPDF to enter an infinite loop and crash during PDF-to-image conversion. Support for these documents has been added, and the problem fixed. The HTML-to-PDF module has been enhanced to support CSS properties background-size: cover and background-size: contain. The PdfPage.CreateTextbox has been enhanced to support the field text color via the Color parameter. AspPDF's digital signing functionality required that the PDF document being signed and the digital certificate used for signing be both accessible to the PdfDocument.Sign method. In most cases, this meant the private key had to be transferred to the server, which is often impossible or impractical for security reasons. As of AspPDF v3.4 (and also AspEncrypt v2.9), the PDF being signed and the signer certificate's private key no longer need to physically meet. The PDF never has to leave the sever, and the private key never needs to leave the user's workstation. Instead, the hash value being signed and the signature itself do all the travelling. The new functionality is described in details in Section 8.4 - Client-Side Signing of Server-Side PDFs. The PDF/A format is a subset of the regular PDF format with certain features, deemed incompatible with long-term archival and storage of documents, removed. Several enhancements and fixes have been added to AspPDF, as well as a new method, PdfDocument.AddOutputIntent, to bring the documents it creates to the PDF/A-1b compliance level. For more information on the PDF/A functionality, see the new Section 12.4 - PDF/A Support. In addition to this new feature, AspPDF 3.3 incorporates an improvement in its PDF-to-Image module that significantly reduces the conversion time for certain PDFs, especially those using AES encryption. A bug responsible for a crash (A trappable error C0000005) when trying to use the PdfDocument.SendToPrinter method under certain conditions has been fixed. For reasons yet unknown, a 32-bit process attempting to call SendToPrinter on the 64-bit versions of Windows 2012 and Windows 8 fails with the error "Access is denied", while a 64-bit process works well. Previous versions of Windows are not affected. DocumentProperties failed. The error was: Access is denied. To successfully use the SendToPrinter method on Windows 2012 and Windows 8, the 64-bit version of AspPDF should be used. For a 32-bit process to be able to call the 64-bit version of AspPDF, asppdf64.dll needs to be registered under Component (COM+) Services. This service release incorporates a number of important fixes and enhancements in the PDF-to-Image and other modules. The PDF-to-Image module has been enhanced to handle unembedded fonts better. Previous versions would always replace an unembedded font with a Helvetica Type1 font regardless of the unembedded font's name, while the current version attempts to find a system TrueType font that matches the font's name for better conversion accuracy. A bug causing the component to crash when calling the Page.ExtractText method twice on the same page has been fixed. A bug in AspPDF has been discovered that causes new page content to disappear when the modified PDF is viewed in the Google Chrome browser (Adobe Acrobat and Reader viewers are not affected.) Several attempts to fix the bug have been made recently, but the fixes caused undesired side effects and had to be rolled back. We are confident that the current service release is free of the "disappearing content" problem as well as all the side effects introduced previously while attempting to fix it. The service release contains several minor bug fixes. A bug fix in the HTML-to-PDF module eliminates unsightly artifacts when a table cell uses a background image with the CSS attribute background-repeat: no-repeat as shown below. Support for the Copies parameter has been added to the PdfDocument.SendToPrinter method enabling the printing of multiple copies of a PDF document. Previous versions could only print one copy at a time. Performance improvement in the Document Stitching module. It has been pointed out by some of our clients that the AppendDocument method may take a very long time when dozens or hundreds of documents are stitched together, and the processing time seems to grow quadratically with the number of documents being appended. This serious performance problem has been identified and fixed. The processing time is now O(n log n) vs. O(n2) in previous versions. Support for PDF417 Barcode-equipped government forms. Some US government agencies such as the USCIS have started using barcode-equipped forms which allow a processing clerk to transfer the content of a paper form to the computer system instantly by scanning a 2-dimensional barcode residing on each page of the form and encoding the form's field data. AspPDF now has the capability to programmatically fill out these forms and generate the PDF417 barcodes in strict accordance with the government specifications. This feature is described in Section 11a.8 - Barcode-equipped Government Forms. The new method PdfDocument.AddTemplate makes it easy to build a new document from PDF templates as opposed to blank pages. Once one or more template graphics are linked to a document via the AddTemplate method, these templates automatically become the background for some or all newly created pages of the document. This feature simplifies converting HTML to PDF via the ImportFromUrl method when the content needs to appear on top of templates as opposed to blank pages, and the total number of pages is not known in advance. The new feature is described in detail in Section 13.8 - Templates of the user manual. A bug responsible for not displaying filled form items in the Google Chrome PDF viewer has been fixed. This bug only affected Google Chrome, not the Adobe viewers. Support for TIFF images with a relatively rare reversed-bit-order option has been added. Enhancements/fixes have been made in the handling of border-collapse: collapse and position: absolute CSS properties by the HTML-to-PDF module. In response to some of our clients' problems scanning Code 128 barcodes generated by the previous versions of AspPDF, we have implemented a new encoding algorithm for this popular barcode to improve its scannability. The old implementation is still supported for backward compatibility. To use the new implementation, referred to as "Code 128 Auto" in the user manual, the parameter Type=24 should be passed to the DrawBarcode method. The service release also implements image alignment to the center and right/bottom in the PdfAnnot.SetFieldImage method. Previous versions only allowed the default left/top alignment. In response to your numerous requests, we have added transparency support to AspPDF. 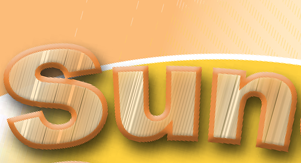 Version 3.1 is capable of drawing semi-opaque text, images and graphics. Various blending modes and transparency-group options are supported. In the previous versions, transparency support was limited to PNG images with an alpha channel. To implement transparency, a new object has been added to the AspPDF object model: PdfGState. This object represents both a graphics state and transparency group, the two important concepts in the PDF transparency model. Also, a whole new chapter has been added to the User Manual describing this new feature, furnished with plentiful illustrations and code samples: Chapter 17 - Transparency. A new parameter, Color, has been added to the PdfDocument.SendToPrinter method. It enables a document to be printed in color on a color printed. Previous versions could only print documents in black-and-white, even on color printers. Adobe XFA support. XML Forms Architecture (XFA) designed by Adobe enables the creation of dynamic forms described by XML. AspPDF 3.0 is capable of filling out XFA forms via the new PdfForm properties XFADatasets and XFATemplate. 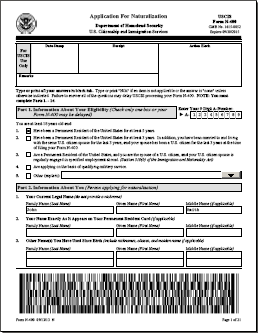 Previous versions could only fill out traditional (non-XFA) PDF forms. The new functionality is described in detail in Section 11a.7 - XFA Support. Improved page break support in OpenUrl method. The recently added OpenUrl method has been enhanced to enable page-splitting along horizontal colored stripes which serve as page-break markers in the HTML document. This functionality is described in Section 16.2 - Pagination (Sub-section 16.2.3 - Colored Page Breaks). Password authentication bug fixed. A class of password-protected PDF documents has been discovered which caused the OpenDocument method to return Nothing (null) even with a correct password. This bug has now been fixed. JPX stream has no supported color spec. during the PDF-to-image conversion of some rare documents. Various other minor bugs have been fixed. JPX QCC marker segment before QCD segment. during PDF-to-image conversion. This deficiency has now been fixed. Better error handling has been added to the PdfPreview.SendToPrinter and PdfDocument.SendToPrinter methods. The new version implements a plethora of new features, enhancements and fixes. IE-based HTML-to-PDF conversion. First and foremost, AspPDF's HTML-to-PDF functionality has been expanded. In addition to the ImportFromUrl method, which uses our in-house HTML-to-PDF conversion engine, there is now the OpenUrl method which uses Microsoft Internet Explorer's HTML rendering engine. This enables your application to create precise, albeit rasterized, snapshots of any HTML document, no matter how complex. This new feature is described in detail in Chapter 16 - IE-based HTML-to-PDF Conversion. New TrimBox and BleedBox properties. The PdfPage object now has these two properties in addition to the existing MediaBox and CropBox properties for better production support. Better TIFF and BMP image support. AspPDF now supports TIFF images that use Adobe Flate compression. Also, BMP images with negative height values are now supported. Tray selection in SendToPrinter method. You can now select a paper tray via the Tray parameter when using the PdfDocument.SendToPrinter method. Text Extraction fixes. Several important bugs have been fixed in the PdfPage.ExtractText method. These bugs were responsible for incomplete and/or incorrect text extraction on some PDF documents. As always, upgrading is absolutely free for registered users. We are happy to announce the public beta release of Internet Explorer-based PDF-to-HTML Conversion, a new and exciting feature enabling your application to create a precise, albeit rasterized, snapshot of any HTML document, no matter how complex, and convert it to PDF in just a few lines of code. The new feature is described in Chapter 16 of the User Manual. Certain rare PDF documents with irregular Flate-compressed data would produce the exception "Decoder failed" during text extraction or PDF-to-Image conversion. The new version suppresses this exception and allows the process to continue despite the irregularity in the data. Some PDF documents have been discovered that cause the PDF-to-Image conversion process to take an unreasonable amount of time. The bottleneck for this deficiency has been identified and fixed. A minor memory leak in the font processing module has been discovered and fixed. A bug affecting the PdfPages.Add and PdfPages.Remove methods has been fixed. The bug caused the addition and removal of pages in some documents with a complex tree structure to be performed incorrectly. A bug in the document-stitching module (PdfDocument.AppendDocument method) causing document corruption in certain rare PDFs has been fixed. The bug caused Adobe Acrobat to produce the error "Insufficient data for an image" while viewing the composite documents produced by the stitching operation. A bug causing crashes on certain documents when calling PdfPage.CreateRadiobutton, PdfPage.CreatePushbutton and other field-creating methods has been fixed. A new version of the zlib compression library has been integrated with AspPDF for Flate filter decompression. The old version of zlib occasionally caused crashes on certain rare PDF documents during PDF-to-Image conversion. Several other minor bugs in the PDF-to-Image and drawing modules have been fixed. For more information about this feature, see Section 14.7 - Structured Text Extraction of the User Manual. The HTML-to-PDF conversion module has been enhanced to add support for borders with rounded corners defined by CSS properties border-radius, border-top-left-radius, border-top-right-radius, border-bottom-left-radius and border-bottom-right-radius. Also a number of minor bugs have been fixed in various modules. AspPDF's TIFF decompression engine has been enhanced to include support for CCITT Group 3-2D compression (often referred to as CCITT G32D). This relatively rare variation of the CCITT compression is found in the duotone TIFF images of scanned or faxed documents. Previous versions would not reject G32D-compressed TIFF images but decompress them incorrectly. This service release also makes small improvements in the document stitching module. Individual page printing has been available since version 2.1 via the PdfPreview object. The new version extends this functionality to support full document printing via the new PdfDocument.SendToPrinter method which enables the entire document, or any portion thereof, to be sent to the printer in a simplex (one-sided) as well as duplex (double-sided) modes. Duplex printing can be performed in both short-side and long-side binding modes. See Section 14.6.2 - Document Printing of the user manual for details. A bug responsible for the error "Bitmap rendering onto the printer context failed. The error was: The segment is already unlocked." occurring on certain page width/print resolution combinations has been fixed. The PdfColorSpace object introduced in version 2.5 provides access to color spaces other than RGB and CMYK. However, until now, there was no mechanism to use these non-standard color spaces with the PdfTable object. The new version fixes this deficiency by adding two new methods, PdfTable.SetColor and PdfCell.SetColor, through which the color space index can be specified, as well as the individual color components. See Section 15.4 - Using Color Spaces with PdfTable and Other Objects for more information. The existing methods PdfCell.AddText and PdfCanvas.DrawText have also been enhanced to allow color space indices and color components to be specified. The handling of auto-size form fields has been improved to make the automatic calculation of font size more consistent with Adobe products. Several minor bugs in the HTML-to-PDF and other modules have been fixed. The new service release incorporates many important fixes and enhancements in several modules. Previous versions would create a temporary file on disk whenever a non-embedded TrueType font was enountered in the PDF file being converted to an image. The new version performs all operations in memory and no longer creates temporary files. When failing to find a substitute font for a non-embedded TrueType font, the new version would fall back on the "Arial" font. Previous versions would abandon the text rendering operation altogether in this situation. The handling of non-embedded Type 1 fonts has been improved as well. Previous versions did not always properly handle Type 3 fonts. The new version fixes this deficiency. Previous versions would occasionally leave some of the fields unflattened when the Form.Flatten() method was used. The new version fixes this bug. Previous versions would incorrectly flatten text fields containing the text "BT". The new version fixes this bug. Several minor bugs have been fixed in the parsing and other modules. A bug causing AspPDF (64-bit) to crash on certain documents during PDF-to-Image conversion on the 64-bit versions of Windows 8/2012 has been fixed. A bug causing some form fields to "jump" (change position) during form flattening has been fixed. Various minor bugs in the PDF-to-Image and other modules have been fixed. This service release fixes a bug responsible for the error HTML rendering error: cannot obtain font "" generated by the DrawText method on some fonts. The method PdfPreview.SendToPrinter is enhanced to allow the printer name argument to be omitted and the default printer name for this machine to be used instead. Support for TIFF images with a non-standard "Planar Configuration" parameter has been added. This service release fixes a bug causing the PDF-to-Image module to generate the error "Invalid JPX stream" on some PDF documents. This bug was introduced in a recent release by mistake. Support for TIFF images using JPEG compression has been added. Minor enhancements to the HTML-to-PDF module have been made. SetFieldValue, the workhorse method of the form fill-in module, has been enhanced to support fields with font size set to "auto". The handling of Unicode characters in form fields has also been improved. In response to your numerous requests, a "fontless" version of the SetFieldValue method, called SetFieldValueEx, has been added to the PdfAnnot object. The new method only takes a single argument, the text string. It determines the font automatically based on the information embedded in the PDF form being filled in. For more information, see Section 11a.1.2 of the user manual. Form flattening functionality has been added via the new PdfForm method Flatten. Flattening a form means turning all of its fields into static graphics with no possibility for further editing. For more information, see Section 11a.5 of the user manual. Version 2.6 also includes a preliminary version of the PdfForm method Flatten which flattens a PDF form (i.e. turns its interactive fields into static graphics) and PdfAnnot method SetFieldValueEx which, unlike SetFieldValue, does not require a font argument. Both methods will be documented shortly. The old SetFieldValue method has also been enhanced to support auto-size text fields. Two new objects, PdfColorSpace and PdfFunction, have been added to the AspPDF object model to represent color spaces and their supplementary tools, transformation functions. A whole new chapter, Chapter 15, has been added to the User Manual to describe these two objects in detail. The form fill-in functionality has been extended to include image fields via the method PdfAnnot.SetFieldImage described in Section 11a.4 - Image Field Handling. The new barcode is described in Section 12.1 - Barcodes, Barcode Type #32. The ImportFromUrl method has been enhanced to recognize local anchors such as <A HREF="#destination"> and <A NAME="destination"> creating links between different parts of the same document. Previous versions ignored local anchors altogether. The service release fixes several minor and medium-level bugs in the parsing module as well as HTML-to-PDF functionality. No /Pages entry in the document catalog. produced by some badly formed PDF documents. These documents are now opened without an error. The service release also fixes a bug in the text extraction functionality introduced by an earlier release causing memory leaks, and several other minor bugs. The new version enables another document's pages to be drawn on this document. The new method PdfDocument.CreateGraphicsFromPage creates an instance of the PdfGraphics object from another document's page which can then be drawn on this document at an arbitrary location or locations, with scaling and rotation applied if necessary. The new feature is described in Section 9.6 - Drawing Other Documents' Pages. The new version also fixes several minor bugs. Upgrading is free for registered users. The service release fixes a bug which caused occasional crashes in the PDF-to-Image module with certain rare PDF documents. It also fixes several minor bugs in the HTML-to-PDF module related to rendering <TEXTAREA> and <INPUT> objects. The new service release significantly overhauls the PDF-to-Image module which now supports PDF transparency, drop shadows and smooth lines. When converting HTML documents containing large tables (tens of thousands of rows) to PDF, AspPDF would sometimes run out of RAM or even crash. This problem has now been fixed. When extracting text from PDF pages formed by tens of megabytes of script, AspPDF would sometimes run out of RAM or crash. This bug has now been fixed. A bug responsible for the incorrect rendering of non-ASCII characters in QR Code barcodes has been fixed. AspPDF would take a very long time to open certain PDF documents with very large cross-reference tables. AspPDF's performance has now been improved. Several bugs have been fixed in the PDF-to-Image module, including one involving CCITTFaxDecode compression. A new parameter, CheckboxSize, has been added to the ImportFromUrl method to customize the appearance of checkbox and radio buttons when converting HTML forms to PDF. In the previous versions, this size was fixed to 12 points. Certain PDF documents created by Microsoft Reporting Services caused AspPDF to generate the error 'endstream' word not found while being appended. This problem has now been fixed. while converting certain rare PDF documents to image has been fixed. A bug causing occasional incorrect content extraction via the method PdfPage.ExtractText has been fixed. A bug in the 1D barcode rendering module introduced by service release 2.2.0.2 has been fixed. HTML rendering error: cannot obtain font "<font name>"
while rendering HTML via the DrawText method has been fixed. A bug introduced by the previous release causing the method SetFieldValue to crash has been fixed. when running AspPDF under ASP.NET has been fixed. CMYK color support has been added to the method DrawBarcode via the new parameters tc, tm, cy and tk. An alignment-related bug in the method SetFieldValue has been fixed. Support for PPKLite signature verification added. Previous versions could not recognize PPKLite signatures at all. To take advantage of this feature, you also need to use AspEncrypt 2.6.0.3+. Support for embedded images such as <IMG SRC="data:image/jpeg;base64,..."> added to ImportFromUrl. Minor bugs in the document stitching module fixed. AspPDF now supports the Advanced Encryption Standard (AES) cipher with 128-bit keys in addition to the RC4 cipher. AES is also known as Rijndael. The PDF-to-Image conversion feature has been expanded to provide an automatic printing function via the new method PdfPreview.SendToPrinter. This feature is described here. This functionality is still in a beta testing phase. A bug in the PdfPage.ExtractText method responsible for the appearance of stray characters when used on some PDF documents has been fixed. Other bugs in the PDF-to-image and parsing modules have been fixed. Support for the popular QR Code barcode has been added to the DrawBarcode2D method. Click here for more information. An enhancement to the PDF parsing module has been made that prevents the exception "This object is neither a /Page nor /Pages" from occurring when parsing certain badly formed PDF documents. An enhancement to the ImportFromUrl method has been made that enables it to handle CMYK images properly. Previous versions would display CMYK images inverted. The new version adds a new parameter to the ImportFromUrl method, InvertCMYK, which inverts the CMYK images back to normal when set to True. An enhancement to the PdfDocument.Sign method has been made via the new parameter BinarySize that enables the user	to avoid entering the PIN twice during the signing if the signer certificate is PIN-protected. Click here for more information on this new parameter. A bug responsible for crashes on certain PDF documents during PDF-to-Image conversion has been fixed. Support for 16-bit images has been added to the PDF-to-Image conversion code. The text extraction functionality (the PdfPage.ExtractText method) has been improved to reduce the amount of unnecessary space delimiters in the extracted text. This improvement works with many but not all documents. A bug in the method PdfPage.ResetCoordinates has been fixed. This bug was responsible for incorrectly resetting the coordinate transformation matrix on some documents. A compilation problem causing the error "Library not registered" in service release 2.0.0.3 fixed. A bug causing a crash in the ToImage functionality caused by a compilation error in the previous service release fixed. A bug responsible for the error message "Object number not found in object header" when appending a large number of documents together, and also for document corruption, has been fixed. A bug in ImportFromUrl responsible for incorrectly handling HTML ampersand notations such as &#163; fixed. Both the 32-bit and 64-bit installers now contain full documentation and code samples. The previous version of the 64-bit installer only contained the DLLs but not documentation. You asked for this feature and we delivered! PDF-to-Image conversion functionality has finally been added to AspPDF. AspPDF 2.0 offers a new object, PdfPreview, a new chapter in the User Manual, Chapter 14, and a new method in the PdfPage object, ToImage, all devoted to this much-requested feature. You can try out the new feature on-line via Live Demo #14. Support for "comb" fields in the PdfAnnot.SetFieldValue method. Support for CSS property background-position in the PdfDocument.ImportFromUrl method. Download AspPDF 2.0 now! Upgrading is free for registered users. AspPDF 2.0 (Beta) with PDF-to-Image conversion released for testing. Minor bugs in PdfCell.SetBorderParams and PdfPage.ExtractText fixed. A bug responsible for the error message "Decoder failed" when reading certain encrypted documents generated by Acrobat 9 fixed. Several important enhancements have been made to accommodate encrypted documents generated by Acrobat 9. PdfDocument.ImportInfo property returning the location of the lowest boundary of the HTML content rendered by the last successful call to ImportFromUrl. For more information on this new feature, see Section 13.7 - Obtaining Y-Boundary. Support for the UTF-8 marker added to PdfDocument.ImportFromUrl and PdfManager.LoadTextFromFile. Improved support for documents with compressed cross-reference tables. Download AspPDF 1.9 now! Upgrading is free for registered users. We have finally ported AspPDF to .NET! Due to overwhelming interest in AspPDF.NET on the part of our clients, we have decided to make it available for public testing even before the official beta release day. Please visit www.AspPDF.net, the new site dedicated to this much-anticipated product, to download your free eval copy and start testing AspPDF.NET immediately! Support for compressed cross-reference tables and object streams introduced by Adobe PDF 1.5 specifications and widely used by Acrobat 9.0. Previous versions could not open documents created with Acrobat 9. Support for PDF417 and DataMatrix two-dimensional barcodes via the new method DrawBarcode2D described here. Also, a bug in the UK postal barcode rendering (method DrawBarcode) fixed. JPEG image rendering (method DrawImage) streamlined. A bug in the ExtractPages method causing occasional incorrect order of extracted pages fixed. Download AspPDF 1.8 now! Upgrading is free for registered users. The new version fixes a bug causing the error message Generation number not found in object header when appending documents with compressed object streams. Also improves support for "Revision 4" encrypted documents. The new version supports Data Matrix, yet another two-dimensional PDF417 barcode. See Section 12.1.5 -- Two-Dimensional Barcodes for more information. The new version supports the popular two-dimensional PDF417 barcode. See Section 12.1.5 -- Two-Dimensional Barcodes for more information. We have also added a new live demo demonstrating this new feature online. A bug causing incorrect rendering of <SELECT> elements by ImportFromUrl fixed. Support for CSS when applied to "block" tags such as <P>, <UL>, <LI>, <BLOCKQUOTE> and others. In previous versions, these tags could only be used for paragraph separation and indentation. Support for form elements such as <INPUT>, <TEXTAREA> and <SELECT>. Previous versions ignored them altogether. Optional support for hyperlinks via a new Hyperlinks=true parameter. Previous versions ignored the <A> tag. Background color for individual text elements can be set. Previous versions only allowed background color to be set for an entire table or cell. Partial support for the position: absolute CSS property. The left and top position properties are supported while bottom and right are still ignored. Selective recognition of style sheets according to their MEDIA attribute. The new Media parameter specifies which style sheets to read and which to ignore. Read more about it here. Support for display: none CSS property. Support for document zoom-in and zoom-out via the Scale parameter. Timeout parameter for overriding the default HTTP timeout settings. Optional support for splitting images between adjacent pages via the SplitImages parameter. Multiple minor bugs have been fixed. AspPDF 1.7 also offers a significant amount of fixes and improvements in methods other than ImportFromUrl. It is therefore advisable to upgrade to version 1.7 even if you are not currently using the HTML-to-PDF functionality. Upgrading is free for registered users. To expedite the official release of the much-anticipated HTML-to-PDF functionality, we have made AspPDF 1.7 Beta available for public testing. ImportFromUrl method now supports setting margin sizes individually for each page. This feature is useful if, for example, the first page of a multi-page report requires wider top and bottom margins than the rest of the pages to accommodate the front-page header and footer. ImportFromUrl method optimized for performance when rendering large tables. An improvement in font handling has been implemented to fix the error "Font cannot be obtained" when DrawText is used with HTML=true. The ImportFromUrl method now uses the Microsoft XmlHttp object instead of the WinInet library for better performance. Also, an HTML string can be fed directly to this method. The native 64-bit version of AspPDF is now officially released. Vertical alignment has been implemented in the PdfCell.AddText method via the new VAlignment parameter. The native 64-bit version of AspPDF is now available for testing. Download it here. The 64-bit version recognizes the same permanent and evaluation keys as the 32-bit version. An minor enhancement in the GoToR Action. Further improvements in ImportFromUrl method. The Pdf.OpenUrl method is deprecated, replaced by a more versatile Doc.ImportFromUrl method which allows HTML to be drawn on existing, as well as new, PDF documents. The deprecated OpenUrl method only allowed the creation of new documents. Note that ImportFromUrl is a PdfDocument method while OpenUrl was a PdfManager method. A new chapter, 13. PDF to HTML Conversion, has been added to the user manual describing the ImportFromUrl method. ImportFromUrl supports a debug mode. When debug=true is added to the parameter list, the method returns a log of non-fatal errors which occurred during the HTML to PDF conversion process, such as invalid image URLs, unknown fonts, etc. The Annot.SetFieldValue method's support for combo boxes in Acrobat 7 has been improved. Enhancements in the new PNG and GIF processing modules. Further improvements in OpenUrl method. Full PNG image format support added, including Alpha Channel and simple transparency. The new version contains an interim public-testing implementation of the PdfManager.OpenUrl method which converts HTML pages to PDF. This method provides a much wider HTML support than the existing PdfCanvas.DrawText method. Most major HTML constructs are now supported, including tables, lists, images, cascading style sheets (CSS), etc. WARNING: The OpenUrl method is currently a work in progress. and not entirely stable yet. Not all HTML tags and CSS properties are currently supported. Use this method at your own risk! We are anxious to bring this much-anticipated feature to completion as fast as possible, and we need your feedback and bug reports. Please check this site for new updates often. GIF transparency support has been added. For more information, see Section 5.2.3 - GIF Transparency Support. Tiling pattern support has been added. For more information, see Section 5.3.2 - Tiling Patterns. Multiple bugs have been fixed in document stitching, form fill-in, tables, font handling and other areas. 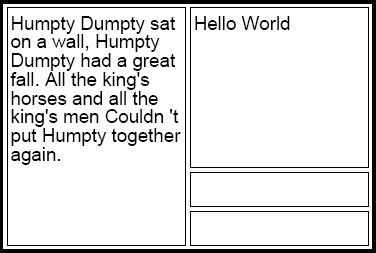 A bug in DrawText has been fixed which caused characters to be cut off in certain circumstances. A bug in the image drawing functionality has been fixed which occasionally caused existing images to be overwritten by calling DrawImage. A bug in the text extraction functionality has been fixed which caused occasional truncation of extracted text. A bug has been fixed which caused AspPDF to occasionally throw the exception Reading from file failed. The error message is: The handle is invalid..
A bug has been fixed which caused Acrobat 5.0 to generate "Error 107" when attempting to modify documents assembled via the Document Stitching functionality. A bug has been fixed which would crash the component when appending certain kinds of PDF documents. The AppendDocument method has been enhanced to allow the stitching of forms generated by Adobe Acrobat/Designer 7.0 without losing field values. With the release of Acrobat 7.0 and Designer 7.0, Adobe has introduced a new standard, the XML Forms Architecture (XFA), which describes PDF forms using XML and departs from its own legacy PDF form specifications. We are currently working to add XFA support to AspPDF. Meanwhile, to address partial incompatibility with forms created by Adobe Designer 7.0, we have added a new method, PdfForm.RemoveXFA, which removes the XFA information from such PDF forms, thus making them compatible with AspPDF and viewable across all versions of Acrobat. You should call this method every time you open a PDF form created by Acrobat/Designer 7.0 until an XFA-compatible version of AspPDF is released. A new chapter, 11a - Existing Form Fill-in, has been added to the AspPDF user manual which, among other things, addresses Acrobat 7.0 compatibility issues and provides a new form fill-in code sample. The method PdfPage.ResetCoordinates has been added to simplify drawing text and graphics on existing PDF documents. The new method is described in Section 9.3.5 - Coordinate Reset of the User Manual. The method PdfFont.GetParagraphHeight has been added to determine the vertical extent of a text paragraph at run-time. A number of bugs have been fixed in the PdfCell.AddText method which caused text cut-off and displacement under certain circumstances. Minor fixes and enhancements have been made. A bug in SetFieldValue has been fixed related to radio buttons. Other minor form-field related bugs have been fixed. Several minor issues related to text form fields have been fixed. TrueType Font-related bugs have been fixed to make AspPDF-generated documents work better with "preflight" packages such as PitStop, and also with Acrobat's TouchUp Text Tool. This service release also addresses printing problems on MAC OS. Document stitching functionality has been enhanced to allow multiple interactive forms to be merged correctly. The method PdfAnnot.SetFieldValue has been enhanced to handle non-ASCII characters. Support for outlines has been extended to existing documents. Previous versions could only add outlines to new documents. A bug in BMP format processing module causing certain BMP images to be displayed incorrectly fixed. PdfAnnot.FieldName property changed from read-only to read/write. This enables you to specify a text box title for text annotations. PdfAnnot.FieldAlternateName property added to return or specify an alternate name for a field, and also to specify a "short description" value for link annotations. A minor bug in the PdfDocument.Sign method fixed. PdfAnnot.Flags property added to control an existing annotation's various flags such as Hidden, Invisible, Print, etc. All form field creation methods enhanced to account for page rotation. 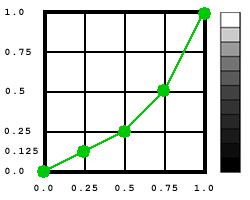 Angle parameter added to DrawBarcode method. Minor bugs fixed in HTML parsing, digital signature verification, table rendering and the SetViewerPrefs method. A new Close method added to the PdfDocument object enabling an application to explicitly close an opened PDF file to avoid share-related errors. CMYK color space support added. New methods SetColorCMYK and SetFillColorCMYK were added to the PdfCanvas object. Also, additional CMYK-related parameters were added to the methods SetParams and DrawText. Page extraction functionality made subject to PDF permission settings. Page extraction functionality added via the method PdfDocument.ExtractPages. Text extraction functionality (PdfPage.ExtractText method) enhanced. Space parameter eliminated. DrawText method optimized, HTML rendering significantly accelerated. Support for justified text (alignment on both the left and right sides of a paragraph) added via the HTML tag <DIV ALIGN="JUSTIFY">. Supported color spaces: Bilevel, Grayscale, Indexed, RGB, CMYK, L*a*b. Supported compression types: No compression, PackBits, LZW, CCITT Group 3 Modified Huffman, Group 3 Fax, Group 4 Fax. Support for single-page and multi-page TIFFs. A new Index parameter is added to the PdfDocument.OpenImage method to support multi-page TIFFs. New properties ResolutionX and ResolutionY added to the PdfImage object returning DPI resolution of JPEG and TIFF images. The Annot.SetFieldValue method enhanced to recognize pre-selected text font color for a form field. A bug causing form field text to be invisible under certain conditions fixed. The Doc.Sign method enhanced to optionally mark digital signatures as "Adobe.PPKMS" (standard Windows security handler) instead of "VeriSign.PPKVS" (VeriSign plug-in). A bug causing the error "Access is denied" when using the Doc.Fonts collection fixed. Several other font-related bugs fixed. A bug causing the error "The system cannot find the file specified" when working with fonts on Windows 2003 fixed. The property PdfAnnot.FieldFlags made read/write (was read-only). Form.FindField method enhanced to accept multi-level field names with dots, such as "Address.City". Version 1.0 is officially released. Download it here. Persits Software announces the release of AspPDF Beta 1. Due to an overwhelming interest towards AspPDF from our clients, we decided to let all interested parties test-drive our new product even before the offical beta release date. The component is already extremely robust and feature-rich, although new features are still being added, and bugs fixed. For the current list of features, see Chapter 1 of the User Manual. This site is owned and maintained by Persits Software, Inc. Copyright © 2003 - 2015. All Rights Reserved.